Today's National Toast a Marshmallow Day. Do you find yourself sitting around the fire, toasting your marshmallow to perfection, wondering what it would be like to set your own work hours? You could run your own business with the same care that you give to toasting a perfect golden brown marshmallow? Full Time or Part Time...You set Your Hours - Ask me how. Would you like to pay off that extra bill? Buy something extra for yourself or your family? Pay part of the monthly mortgage? 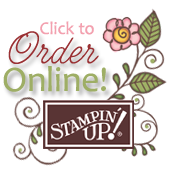 Join my Stamping Country Team for support, training and encouragement. Tomorrow, August 31, is the last day to take advantage of this promotion. Join my Stamping Country Chums Team today or tomorrow and I'll throw in the Box #2 die ($34.95 Value) that was used to make the S'mores Kit about. Phone me today at 419-560-5014 or Click Here for more information on the Business Opportunity. Set back, savor your S'more, and think of the possibilities.